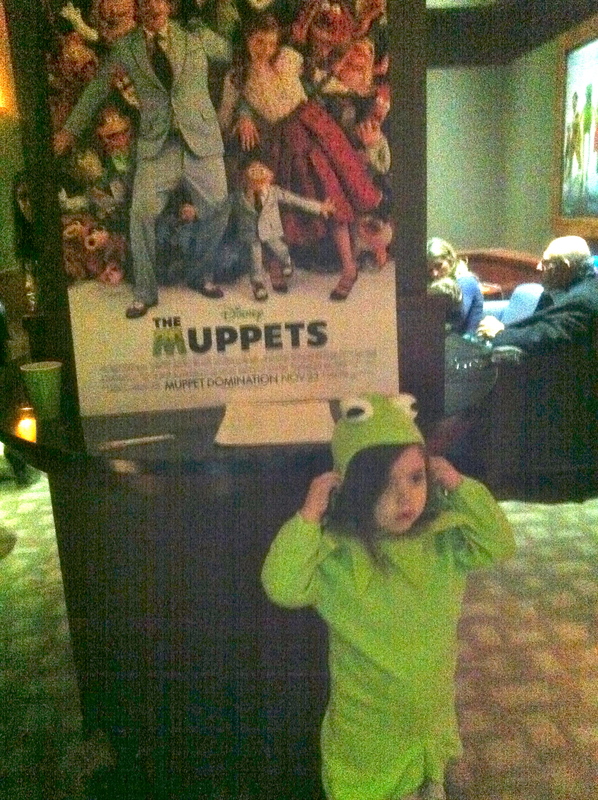 A group of bloggers and I were invited recently by the wonderful ladies of Moms and the City to a private screening of the new Muppets movie starring Jason Segel and Amy Adams. Very cute Muppet costumes were given to the kids by Rubie’s Costumes. (M insisted on wearing hers backwards. And for two consecutive days afterward.) The afternoon turned out to be very nostalgic in all the best ways for me–I remember watching “The Muppet Show” every Sunday night with my family; those crazy puppets represent what is so kind and vulnerable and real about being a child. The film is truly sweet and funny and perhaps speaks more to parents than the little ones: the passage of time, the loss of fame and fortune, broken relationships with treasured friends, long-lost romantic love are all themes the muppets deal with in the movie, as is the “otherness” of the main muppet character, Arnold; there are totally funny, ironic cameos and “winks” (I sound all film-ish when I say that, right?) Sincerely, I loved it. Parts were a little frightening and violent for my four year old; overall, she adored the colorful characters and amazing soundtrack (they played “Rainbow Connection,” guys!). M also seemed able to follow the plot almost through to the end, which, to me, was a really neat milestone to witness. 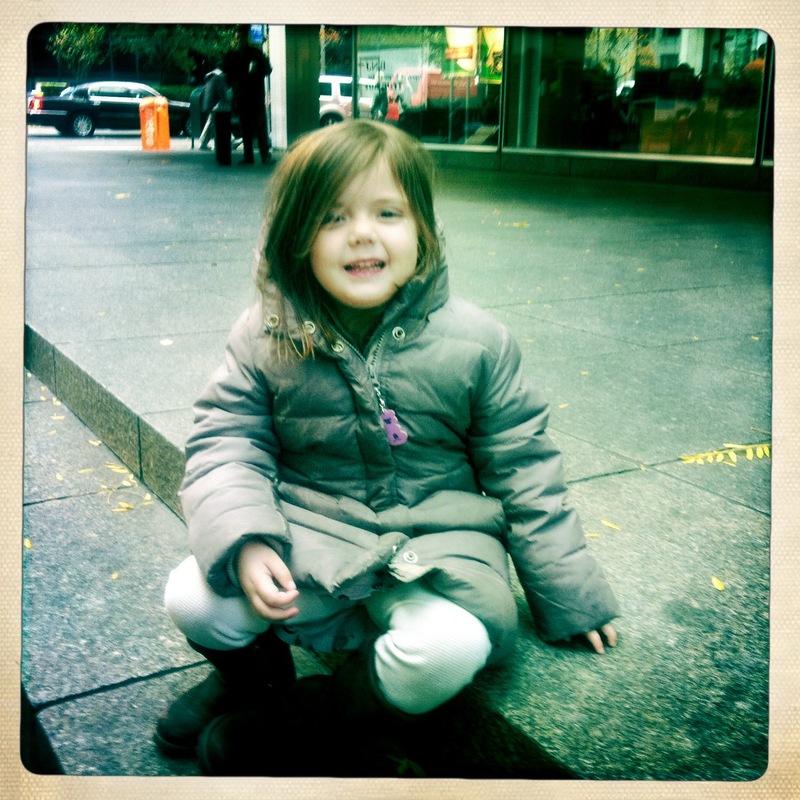 And to spend an autumn afternoon with my sophisticated preschooler is always a treat. There were taxi rides, a subway ride, a stop at Starbucks and a lot of posing. 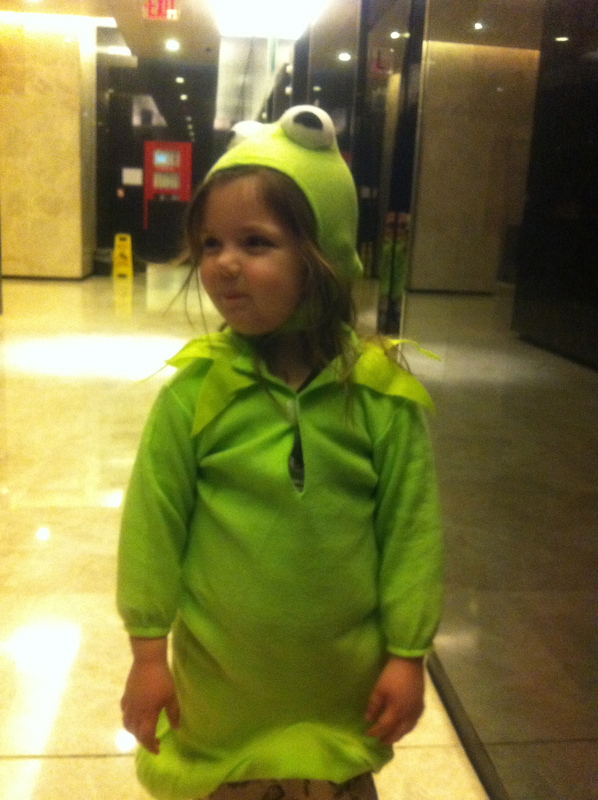 This is E trying on the Kermit suit when we arrived home. You may guess that no one fought over that costume, no one cried, there were absolutely no bulging frog eyes being thrown around my living room. 1 Response to Oh Yeah, The Muppets Are Back! 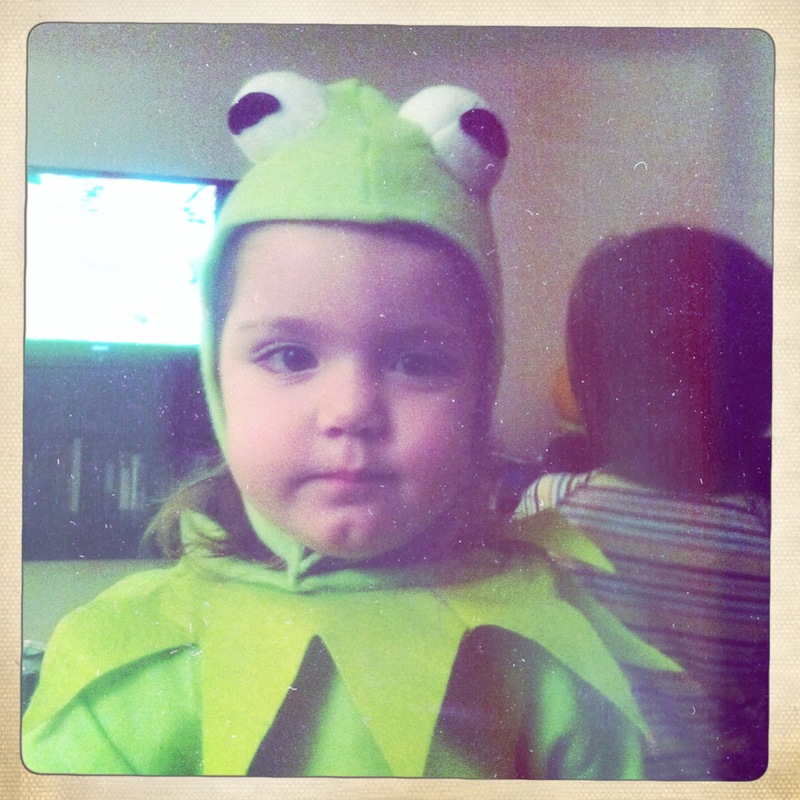 E is so cute in the Kermit suit (and she is wearing it the correct way)! 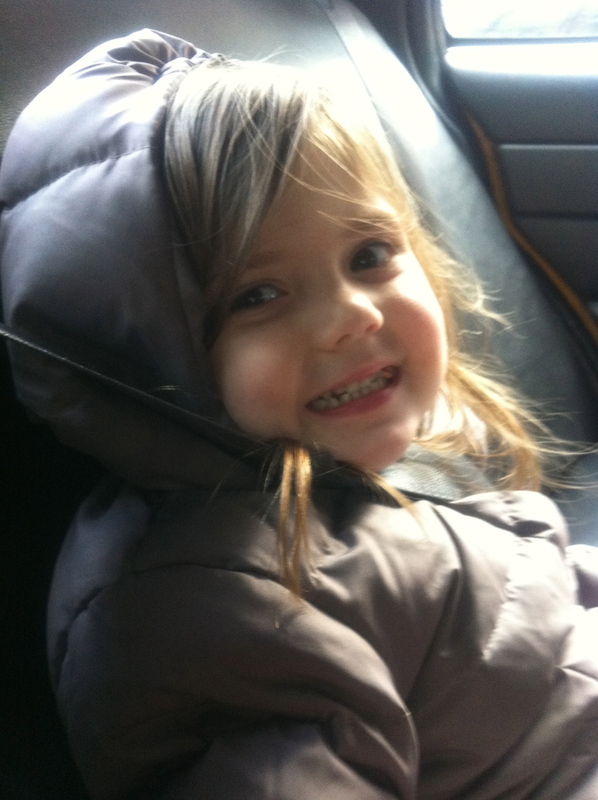 I am excited for the day that I can take Baby H. to the movies!